1. He will say, on camera, “Mr. Obama … you’re fired!” then will mug for the camera for at least 37 minutes. 2. We will have a competitor for the worst reality show ever: “Can’t Stump the Trump!”, a “filmed live yet edited for content” type of show in which Mr. Trump walks around Washington, D.C., asking people if they know who he is and, on a scale of nine to ten, how much they love him. They will then be allowed to ask Mr. Trump one question, which he will answer immediately. John Dickerson will be listed in the credits as “Fact Checker,” but will not actually be allowed to fulfill the duties of this position. 4. The Grant Memorial, National Mall, Lincoln Memorial, Washington Memorial and the WWII Memorial will all be moved in order to make way for the Presidential Fairway. Anything hit into any of the museums along the way is considered “out of bounds” and may result in a two-stroke penalty. 5. Ted Nugent, American Medal of Freedom winner, will play the National Anthem every morning at 6:30 a.m. from the steps of the Capitol building, just before airing his new public access radio show, “I Hate Everything About Jew.” Sarah Palin will be hired to dance “seductively” during Nugent’s performance. 6. President Trump’s first Supreme Court appointee will be “This guy I know. He got me a great deal on some land in Scotland. They love me over there, you know. Sure, they had to change plans for some wind turbans or something, but hey – a deal is a deal!” If you correct Mr. Trump for his use of “wind turbans” instead of “wind turbines,” he will ask why you hate America. 8. 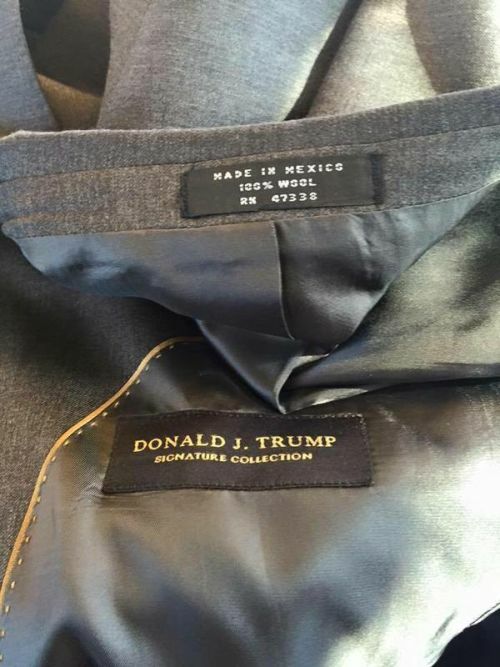 Trump will streamline a new process for immigration and citizenship, but it may only be used by his personal tailor so the President can finally wear suits that are made in America. 10. President Trump, after a three-day bender holed up in his hotel in Las Vegas, decides to prove his point. He then proceeds to shoot people in the street, immediately followed by asking the next-closest person if they still love him. You all take care of each other and have a good day. Posted in Party Politics, rich, SCOTUS and tagged Bornstein, Donald Trump, Sarah Palin, Ted Nugent, Trump. Bookmark the permalink. Yesterday, I talked about how we need to look at the source of our news because if you don’t, you might just get bamboozled. The next thing you need to ask is: “How deep should I look? Just because a source is or seems reputable does that mean I should listen to them?” Well, that part’s up to you. And today, the news cycle gave us a perfect example of this. 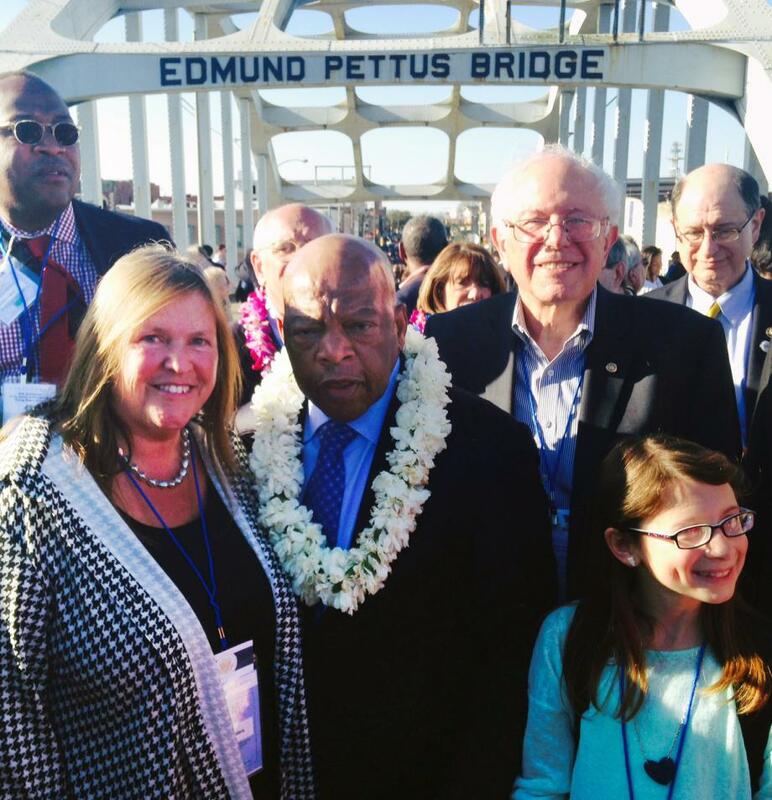 Rep. John Lewis (D-GA) spoke out in favor of Hillary Clinton, and mentioning – some say attacking, but that’s what we’re going to get into – Bernie Sanders, saying (and I won’t use quotes here because the quotes news sources use vary) that he never saw or met Bernie Sanders during the Civil Rights protests of the 1960’s. Posted in General Griping, Party Politics, Racial matters and tagged bernie sanders, civil rights movement, hillary clinton, john lewis, march on washington, martin luther king, mlk, selma. Bookmark the permalink. I’ve probably said all this before, and to be honest, I’ll probably say it all again. But here it goes. The internet is making us stupid. Well, you know how when you were in school there was always that one kid that would remind the teacher if she forgot to assign homework? Well, those people are on the internet, too. Posted in General Griping, Social Politics, World Events and tagged anti-vaxxer, autism, climate change, flat-earth, global warming, internet, science, scientists, vaccine. Bookmark the permalink.